Do you like Coffee? I sure do. 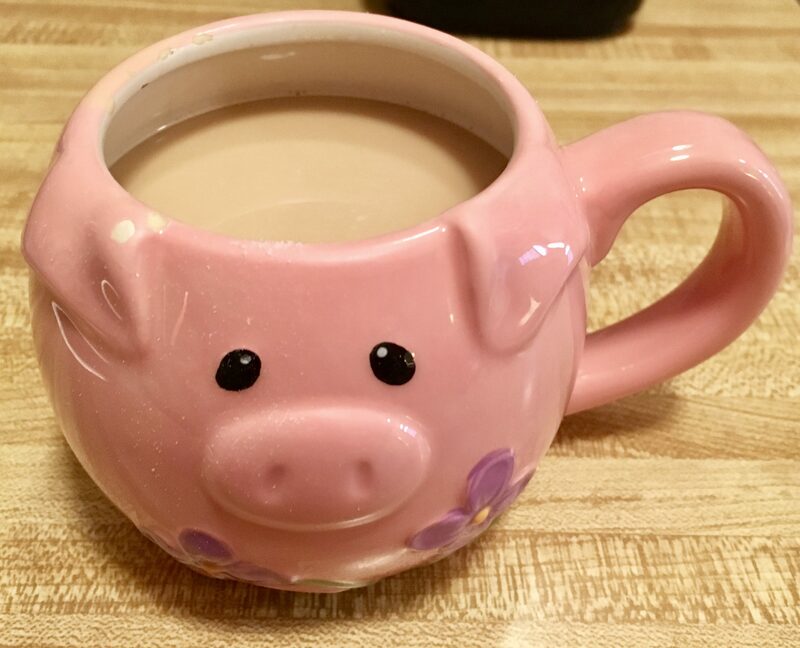 I especially love my Kuerig Coffeemaker for its convenience, ease of clean up, and the seemingly endless variety of flavors and drink types available in those little pods. I love it! But I also love the Earth, and the amount of waste that accumulates in landfills from those same little pods is not lost on me. A couple of years ago, I actually purchased a set of reusable plastic coffee pods, which can be filled with your own ground coffee, and then washed and reused again and again. They work fine, but the amount of sediment left in the bottom of the coffee cup after drinking is unappealing to me. Faced with this conundrum, I went back to the regular disposable pods. Sorry, Earth. 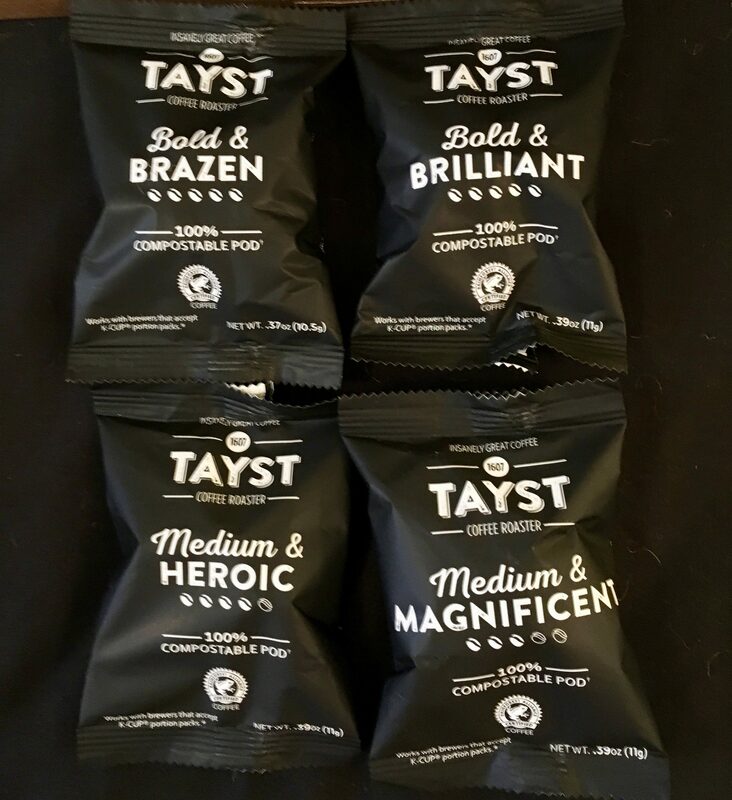 Bold and Brilliant Bold Roast, Bag of 10 Pods. 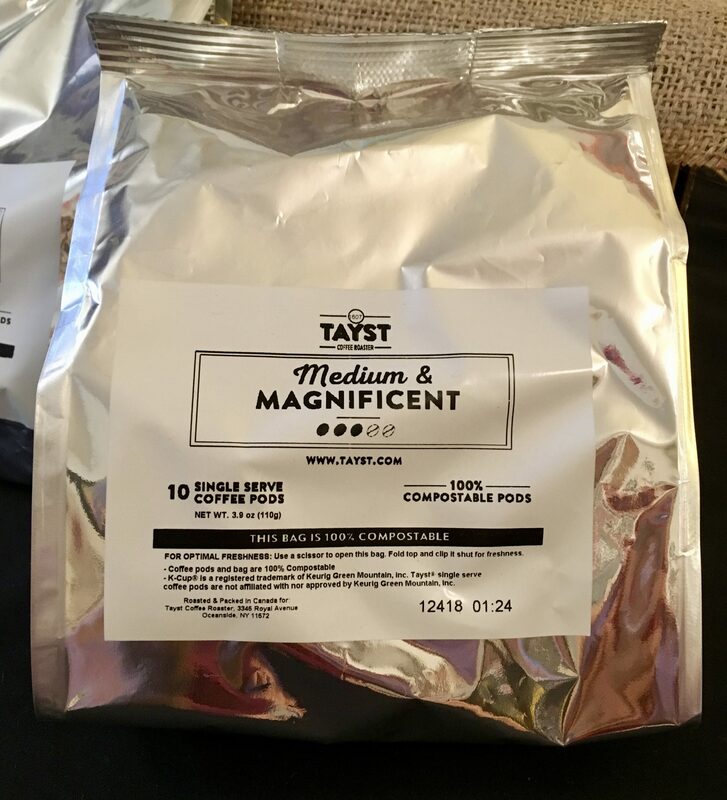 Medium and Magnificent Medium Roast, Bag of 10 Pods. 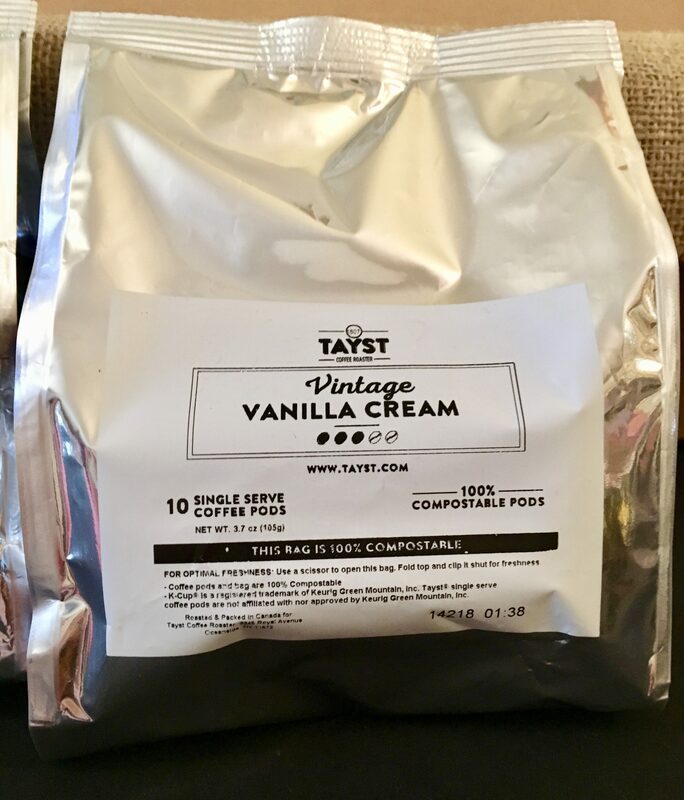 Vintage Vanilla Cream Varietal Roast, Bag of 10 Pods. 4 Random individually-packaged coffee pods of various boldnesses. And these cute little wooden clothespin clips, which are for sealing the open bag to keep the pods fresh! Cutes and practical! And they sent me some cups and lids, in case I want to take my coffee to go! So thoughtful! My Tayst box arrived on a Friday afternoon, so I was excited to make a cup for myself first thing on Saturday morning! I went for the Vanilla Cream first, because flavored coffees are my jam. As you can see, the pod has no hard plastic cup and the coffee is just contained inside a soft, compostable filter. Here is a close up of the pod. 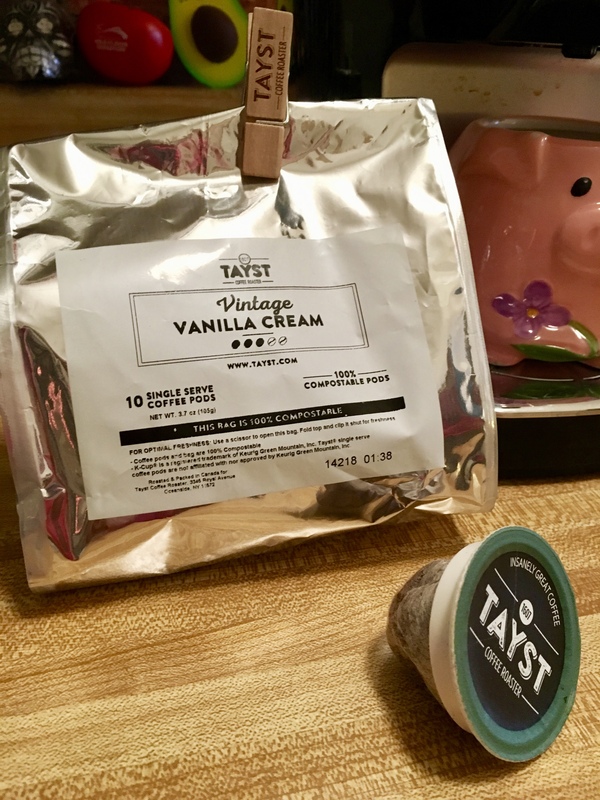 While all beverages taste great when served in a Pig Mug, this Tayst coffee is so smooth, rich, robust without being bitter, and the sweet Vanilla Cream flavor really started off my weekend right! 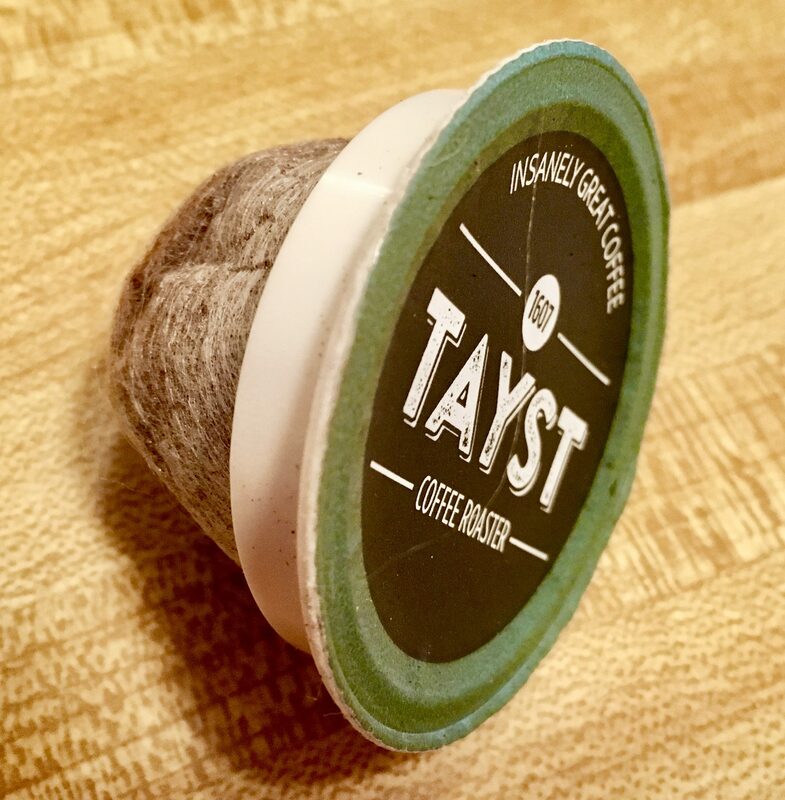 I have been enjoying Tayst coffee at home for a few weeks now, and I have come to crave its yumminess. 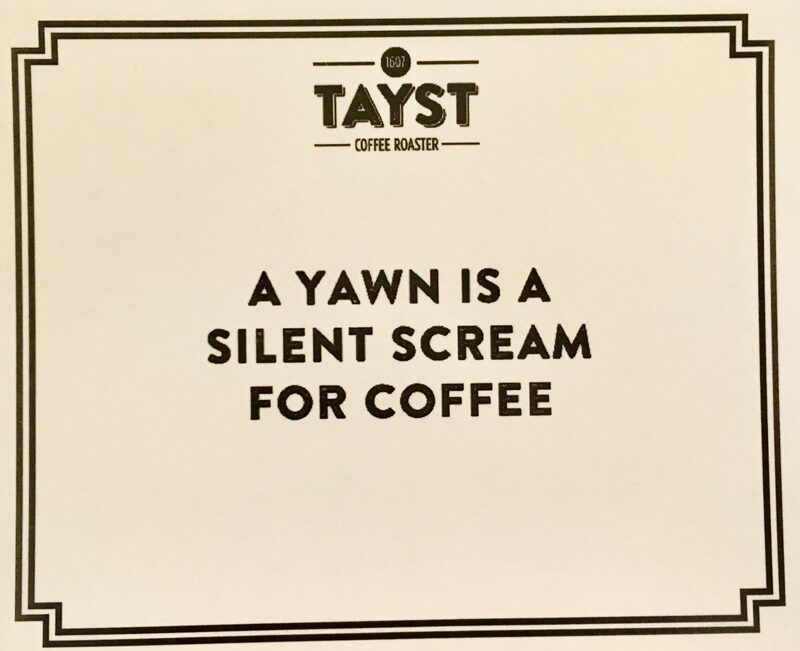 Of course, there is a good reason why Tayst coffees tastes so fantastic. The beans that go into Tayst coffee are sourced from sustainable farms around the world. These fine beans are roasted, ground fresh and put into compostable single serve cups, and then sent direct to customers. 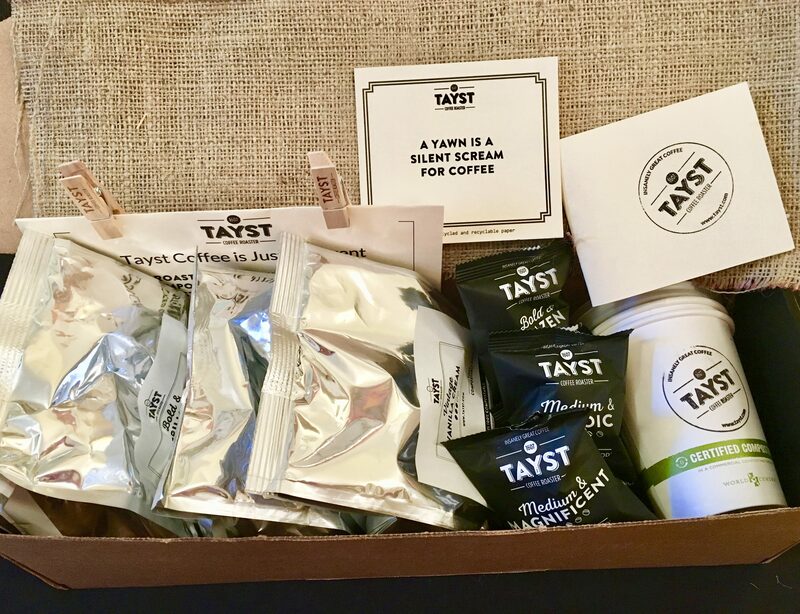 By choosing to source coffee from Rainforest Alliance Certified farms, companies subscribing to Tayst Coffee Box Service are having a demonstrable impact on the ground, conserving natural resources and improving the lives and livelihood of farm communities. 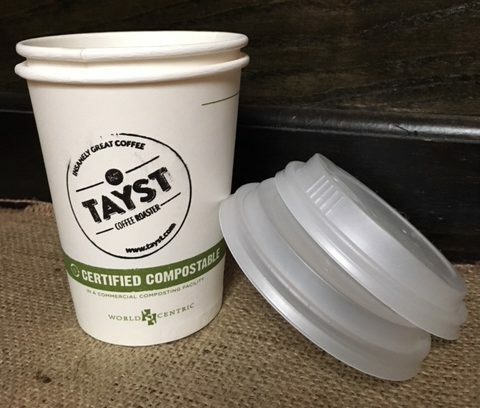 Every way you look at it, Tayst Coffee Service is great for the environment! 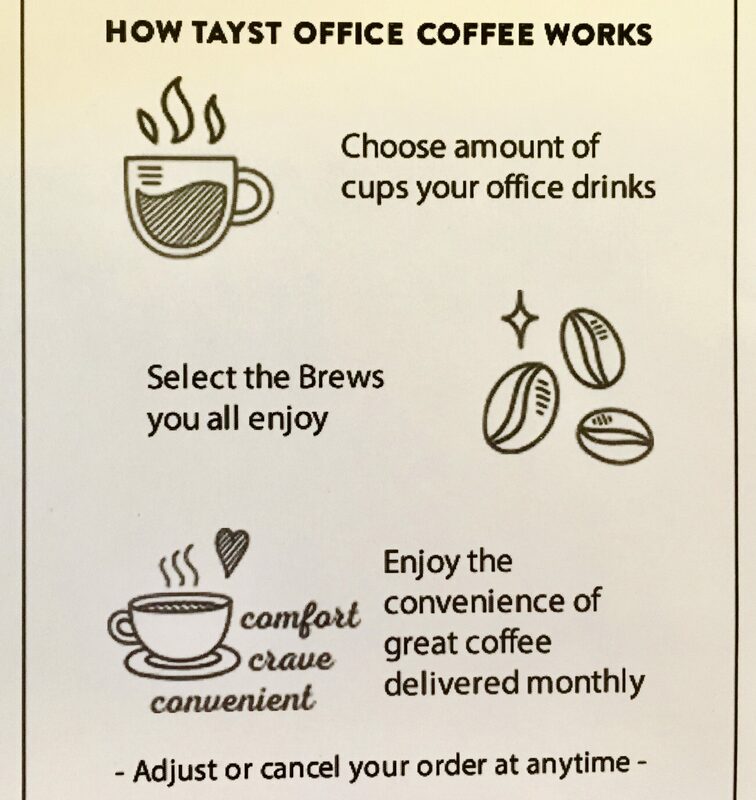 It’s so easy to get started with Tayst Coffee delivery to your home or office. First, choose either Keurig or Nespresso compatible single serve cups in quantities as low as 30, 40 or 50 pods monthly for individual or family use. Prices go down a few cents per cup as you increase your order, and if you are ordering for an office, buying in a larger quantity would make sense. There are subscription plans that deliver as many as 2500 pods per month, at a significant savings. Next, choose your brew strength. There are two bold roasts, two medium roasts, plus the Vintage Vanilla Cream for flavored coffee fans, and a Defiantly Decaf variety that still maintains its dark, rich coffee characteristics. 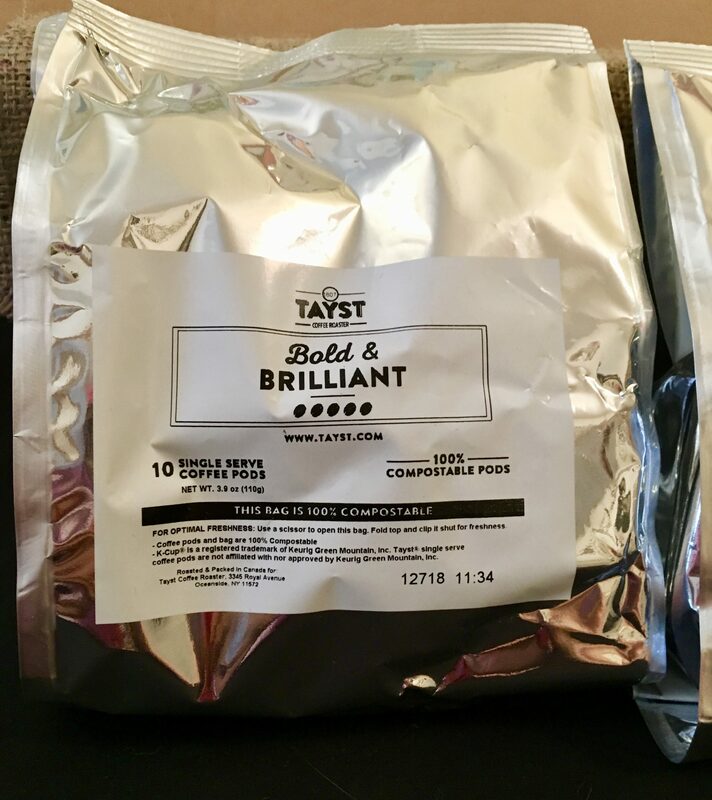 You can also choose the Tayst Sample Box to get a mix of all varieties. You’re in control of how often and how much coffee you will receive with your subscription. Either set it and forget it or adjust the coffee taste profile, quantity or frequency of your monthly order at will. 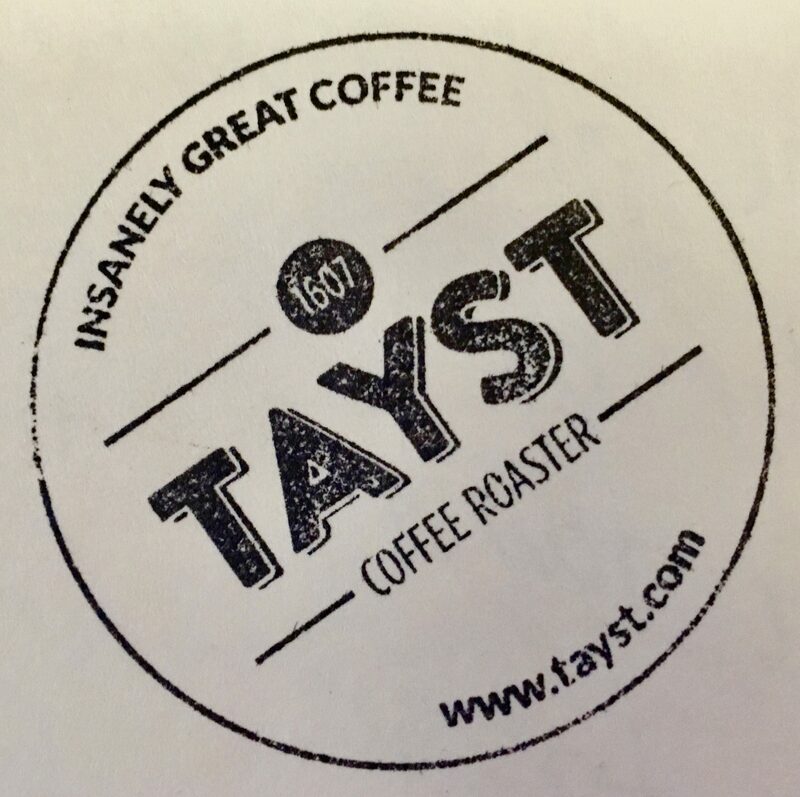 Initial office coffee box orders include Tayst Coffee Storage Jars and Tayst Ceramic Coffee Mugs, with the number of each adjusted according to the size of your order. You can also order a sleeve of 20 compostable coffee cups for just $6.00. The best part is that there is no commitment and no contracts to sign. You can cancel your delivery subscription at any time! Visit Tayst Dot Com for more information, and to get 30% Off your first box! You’ll be glad you did! 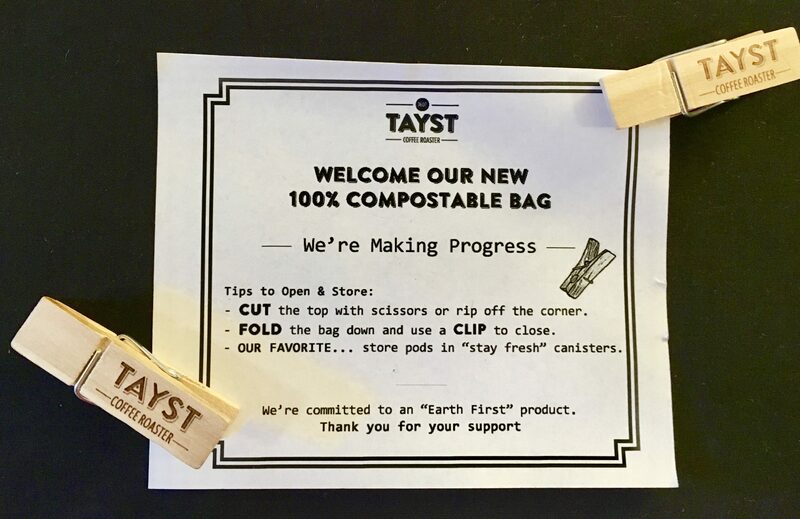 I am curious, and skeptical, of the claim of a compostable foil bag. Is there any certification or proof of compostability. Please explain.